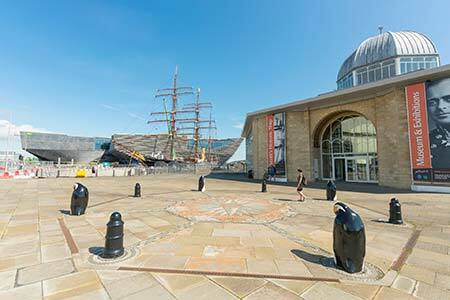 When planning your Scotland holiday for 2018 make sure to consider a visit to the city of Dundee, as something very special is happening there, more about that further down. 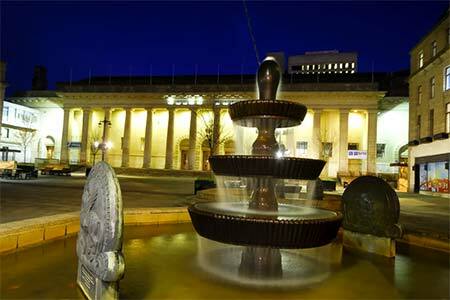 Perhaps you didn’t know but Dundee has become the first UNESCO City of Design in the UK in 2014. This is a prestigious award that recognises the huge contribution the city has made to design worldwide. Dundee received this award because it has an established design industry and its designs include aspirin, biomedical research that has led to hundreds of new cancer drugs, comics including The Beano and The Dandy, orange marmalade, and video games including Lemmings and Grand Theft Auto. Dundee has continually reinvented itself after the collapse of its heavy industries, designing a new future for itself and its citizens. And right now the city is rebuilding its expansive Waterfront as part of a £1 billion, 30-year masterplan to design an open, inclusive city of the future. At the heart of the Waterfront plan is the creation of V&A Museum of Design Dundee, a global home for Scotland’s design heritage. The Museum is expected to open in June 2018 after a delay of four years! The fact that the prestigious V&A museum with its unique and impressive design will open in 2018 is one of the reasons for the Wall Street Journal to name Dundee as one of 10 “hot destinations” in 2018. The WSJ writes: “A coastal college town, Dundee has emerged as Scotland’s coolest city (see the old public library turned underground club). In 2018 the V&A Museum of Design will debut as the centrepiece of a $1.5 billion transformation of the faded riverfront. Designed by Japanese architect Kengo Kuma, the new V&A will celebrate the country’s unsung design heritage – from jute to Minecraft.” The original price tag for the new design museum on the city’s harbour was set at £45 million, but Dundee City Council has revealed that the cost is now estimated to be over £80 million. Needless to say that the much anticipated opening will be a major milestone for the City of Dundee and it will generate a lot of interest from around the world. The movie below shows a visualisation of the V&A museum in Dundee. Enjoy and make sure to include Dundee in your itinerary for 2018 and later.